A cinematic postcard of Montreal. 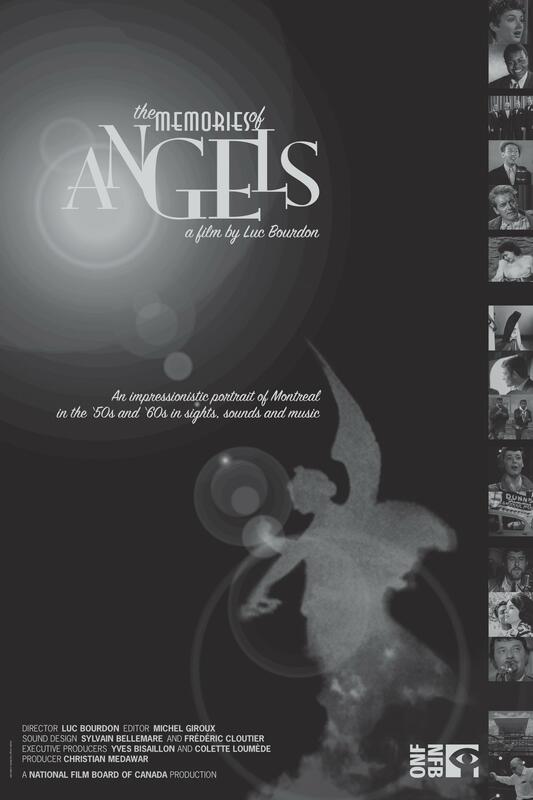 Elegant, funny and playful, The Memories of Angels is mesmerizing! C'est le plus bel hommage à Montréal qu'on puisse imaginer, une grande réussite! De véritables moments de grâce! Un fabuleux voyage dans le temps. Luc Bourdon's The Memories of Angels is a poignant collage of Montreal’s glorious and romantic past, brimming with poetic delicacy and exuberance for life. Assembling clips from over 100 films produced by the National Film Board of Canada, the film revisits the famous figures, symbolic places and colourful residents of the Montreal of the ’50s and ’60s.